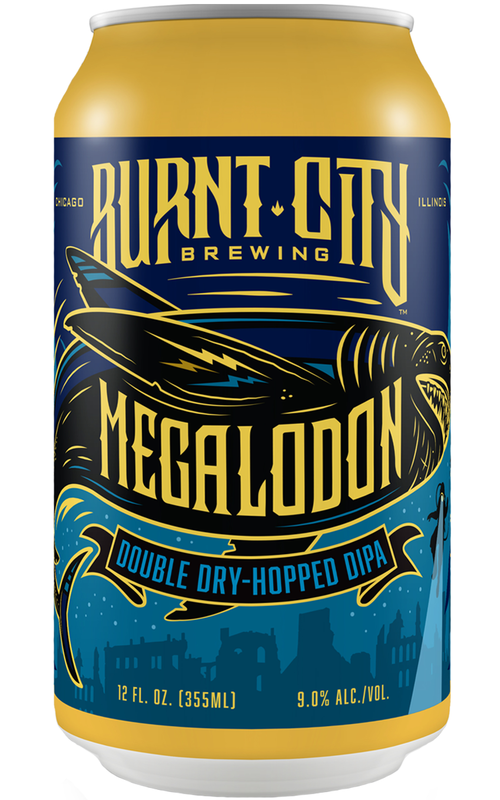 Megalodon Double Dry-Hopped DIPA is available April – June in 12 oz cans and on draft in 1/6 bbls. Like a giant prehistoric shark devouring a lesser shark and taking its powers for itself, Megalodon Double Dry-Hopped DIPA is enhanced with multiple additions of Ekuanot and Mosaic hops. Grapefruit, papaya and pineapple hoppiness is pervasive without a ton of bitterness. Oats give Megalodon extra body, just as the beer’s namesake would have preferred. Just as you might imagine, Megalodon is a ferocious beast that dominates every party atmosphere! We stress you exercise caution; the presence of Megalodon is likely to intimidate other partygoers including, but not limited to, heroes, elephants, soldiers, cats, royal reptiles, fantasy coneheads and unwelcome guests.